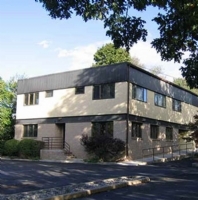 Bussel Realty Corp. (BRC), a leading industrial and investment real estate services firm in New Jersey, today announced its arranged the sale of 1323 Route 27 in Somerset , New Jersey, a 10,800-square-foot office medical building, for $1,163,000. Gregory Irving, executive vice president of BRC, represented the owner, Kothari Family Trust, and the buyer, Somerhill Ventures. Irving is currently marketing the sale of 1303 Route 27 in Somerset, New Jersey, a 11,124-square-foot investment, office medical building. 1323 Route 27 is a 10,800-square-foot office medical facility located off Route 27, near downtown New Brunswick, Route 1 and 18, and the New Jersey Turnpike. The story-story property is partially leased to several medical practitioners and has two units available to interested practitioners. The property has great access to the area’s major hospitals including Robert Wood Johnson, Saint Peter’s Healthcare System, and Children’s Specialized Hospital. It is also near to Rutger’s University Cook and Douglas Campuses.